The city of Delaware’s first run with a designated outdoor refreshment area (DORA) will be a part of the fifth annual New Moon half and quarter marathon, as well as the Crescent Moon 5k, to take place on Saturday, May 26, in historic downtown Delaware. Delaware City Council approved the DORA in October 2017, with boundaries of Sandusky Street, from Central Avenue to Spring Street, and William and Winter streets from Franklin Street to Union Street. Ohio House Bill 47, passed in 2015, permits cities or townships with over 35,000 residents to establish up to two designated areas, depending on the size. Up to 320 acres can be encompassed in the DORA, and at least four businesses with a liquor license must participate. 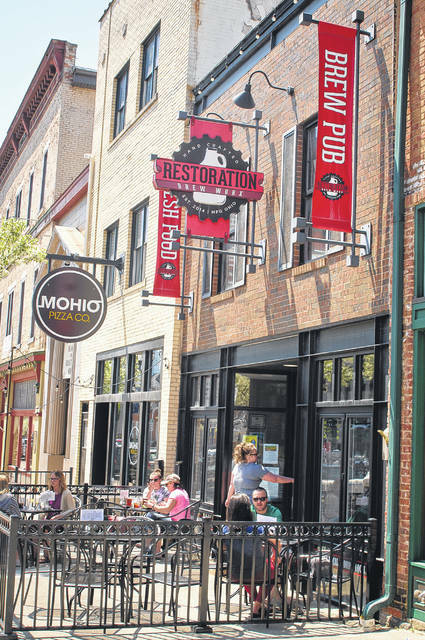 The DORA will allow patrons to enjoy beer or wine purchased from participating locations in the dowtown area, while enjoying the outside festivities of the race or even visiting shops. However, not every establishment will be participating in the open drinking area. Last year’s race featured over 1,300 participants, with an estimated 800 spectators in addition to the runners. Craig Thompson, the event coordinator for Greenswell, said the addition of the DORA will create “more of a party atmosphere” that should add to the number of patrons. He also noted the timing of the event, in the evening rather than the more typical morning start, as a significant boost to the popularity of the event, especially for those who aren’t running or walking, but will show up to support someone who is. Thompson said he has been in constant contact with the participating establishments as they ready for the event. 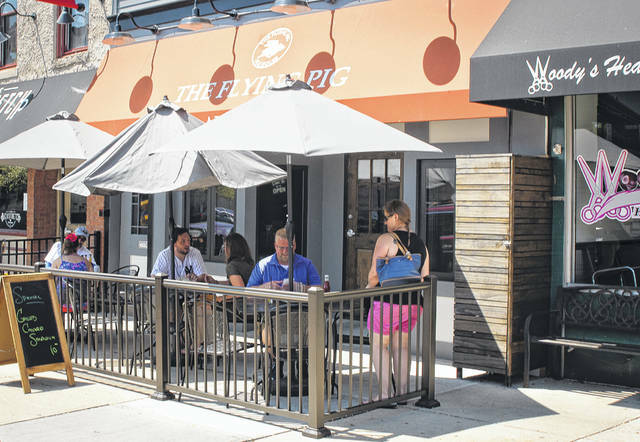 “There have been a lot of conversations (with the establishments), getting up to speed on all the requirements of DORA,” Thompson said. “What is needed in terms of cups, labels, things like that, and just getting them excited about it. Like any new initiative, it takes some time to get people to wrap their arms around it. He said event organizers do a course notification where they walk the entire course and pass out handbills to the residents of the neighborhoods in which the race will pass through, as an awareness and inclusion measure. Thompson has been organizing events in central Ohio for 17 years, including the Columbus Marathon from 2005-09 and the Ohio State Ross Hospital TriFit Challenge Triathalon. While those events are always top-notch, Thompson had the highest of praise for the ones who make Delaware’s race day happen. Anyone interested in participating can get more information and sign up at www.greenswell.com. Walkers are welcomed but must be able to walk at a pace of 15:30 in order to complete the half marathon. Check-in time on race day will be at 4:30 p.m., and the race is scheduled to start at 6:00 p.m.